Harvey James “Jim” Gordon, 94, of Dunnellon, Florida and formerly Columbus, Ohio, passed away on March 12, 2019. He was born January 28, 1925 in Junction City, Ohio to Carl H. and Helen Gordon. He served in the US Navy’s 3rd Fleet aboard the USS Kyne in the South Pacific during WWII. When the war ended, he married his high school sweetheart and the love of his life, Donna J. Gordon. They were married 71 years before her passing in 2017. They moved to Glenview, Illinois and briefly Maryland as he continued his career with the Navy. 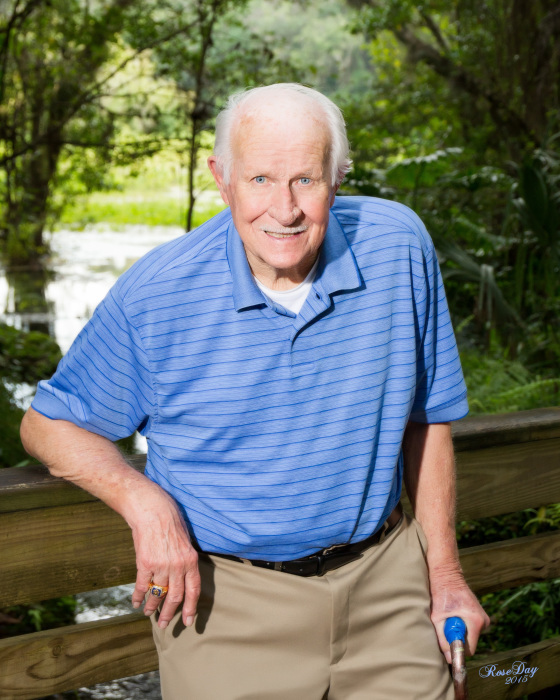 In 1963 he and his family moved back to Columbus, Ohio where he formed an electrical contracting business before he and Donna retired to Naples, FL and then Dunnellon, FL. He will be remembered by all who knew him as a very kind and extremely generous man who also had a great sense of humor. Jim is survived by his three children, Susan (Jon) Humphress, Janice (Bobby) Blair, and Phillip (Bonnie) Gordon. He is also survived by grandchildren and great-grandchildren Jeb (Jada) Humphress and their son Jay, Jamie (Brittany) Gordon and their children Jax, Rhett and Maddison, Caitlin (Cheney) Wainscott and their children Riley, Gabe and Isabella, Missy (Josh) Mocek and their daughter Avery, and Andrew Gordon. Jim is also survived by his brother Rev. Donald Gordon (Bethany), sisters Norma (Hans deceased) Stechow and Virginia (deceased Jack) Tracey. He is predeceased by his sister Annie Gordon Kopis-Cole and brothers Earl (LaVerne) Gordon and Kenneth (Sue) Gordon and granddaughter Lynn Suzanne Humphress. There's still time to send flowers to the Memorial Service at the Florida National Cemetery at 2:30 PM on May 3, 2019.